Is becoming a homeowner one of your dearest dreams? Be prepared, Canadian real estate is currently paved with obstacles making the way to homeownership difficult. For example, the housing costs never cease to increase. The challenges are so great that it forces some to postpone their plans to become owners or even to discourage other. However, the following steps might help you to be able to save money while turning your dream into reality. As your primary investment in your future home, the down payment should be the first thing you plan in your long-term budget. It usually represents 20% of the property. The down payment is as crucial to the sellers as to the banks or private lenders. It highlights the buyers’ commitment and capacity to complete the purchase. Plan in advance. If you plan in advance, it will be easier for you to accumulate your savings and save on a monthly basis. Save your tax refunds as fixed deposit in banks. In this case, you will be less tempted to spend your tax returns. Curb expenses on a rented house. Insurance must be in the back of your head at the minute you seriously consider moving. To prevent any financial issues from accidents, natural calamities or theft, choose the right insurance cover for your house. This is even more important if you buy the house alone. In this scenario, you are in charge of all the responsibilities. You can also take out an insurance on your mortgage. Most people won’t be able to pay their house all by themselves unless they win the lottery. This is the reason why banks and private lenders offer many loans for homeowners such as mortgages. Many consumers do not know that they can save money when choosing the right type of mortgage. Each of them has their own specificities. It is advisable to choose a mortgage with a short-term reimbursement than a long-term one. Let’s compare 15-year to 30-year mortgages with the same amount: $250,000. Many people fall into the trap of long-term mortgages because of the lower monthly payment. However, if you do your calculations right, you will save money with the short-term loan. In this example, your life savings will be around $126,666 if you choose the 15-year mortgage. With this saving, you can travel more, pay university tuitions or even renovate your house. When you move, it is essential to be financially well prepared. If you do not prepare a moving budget, you will mostly spend more than necessary. In order to plan this budget, you need to take into consideration some expenses. First of all, you need to decide if you move or hire a moving company. A moving company can be a great choice if you have heavy objects and limited space. It is also a necessity for the people who have some health issues. If you hire a company, you need to take into consideration the fees such as fuel and labor charges, additional insurance and extra services which could include moving a piano. Ask for estimates so you can compare the prices between companies and have a better idea of the total cost. You need to know that moving companies do not always tell the additional fees. Do not forget to add an extra contingency amount. You never know what can happen. Some people prefer to move without any moving company. This solution is cheaper than working with an enterprise. You will need to think about the truck rental and the extra equipment rental. The extra equipment may include furniture covers, mattress and a loading ramp. The prices of a truck vary on the size and the distance. You can ask the rental agency how many liters per hundred kilometers you can expect. Second, think about child or pet care. You may need additional services to care for members of your family before or after the move. If you use a temporary housing, include this line in your budget. Finally, do not forget the packing and storage fees. It may be difficult to predict how much packing you will need, but think ahead and add an amount anyway. You need to take into consideration the number of moving boxes, mattress covers, storage fees and insurance for your valuables. Prepare the big day, so you can save money. Book your moving company at least six weeks in advance, and give yourself the time to verify their services before signing the contract. Six weeks give you enough time to compare different companies and negotiate. You do not need to secure a rental truck such in advance, but they do become less available during the busy moving season. If you wait to rent, you may end up paying too much or having a truck which is too large for your needs. Also, if you book ahead of time, you can ask the renting company for a deal or extra moving tools like a dolly or packing blankets. These may not be available if you book last minute. Sometimes, people do not have the luxury of time and have to move quickly. It is still recommended to get at least three estimates from moving companies or rental agents so you can have multiple choices. Do not forget to follow up with the company, mover or rental agency a month before you move. Moreover, if possible, do not move during the summer. Try to avoid July, August and early September. If you cannot, book the move for a weekday which is usually less expensive. If you are waiting to move in the summer, so your child can finish off the school year, consider moving immediately after the last day of school. It is essential to book at least eight weeks in advance when moving during the summer. 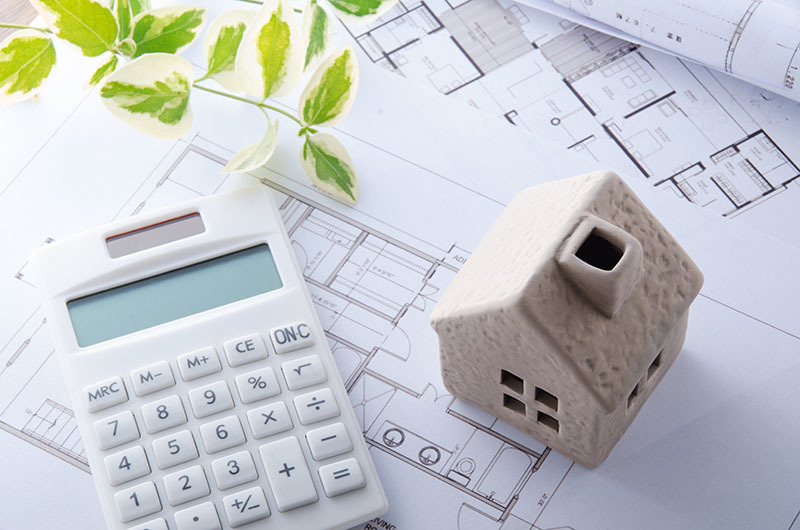 In conclusion, investing in real estate may seem difficult, but if you plan ahead of time, budget and take out a loan and insurance, the house of your dream is closer than you think. Previous Previous post: 9 Types of Loans: Which One Fits Your Financial Situation?